May 24 (UPI) — After a two-year stint on the disabled list, Curiosity’s drill is working again. This week, the Mars rover successfully collected a rock sample for the first time in almost two years. Over the last year, engineers at NASA have developed a workaround drilling technique called Feed Extended Drilling, or FED, which uses the rover’s robotic arm to direct and push the drill into the ground as the drill bit spins. And last week, Curiosity engineers added percussion, or a hammering rhythm, to the FED technique. The fix worked. 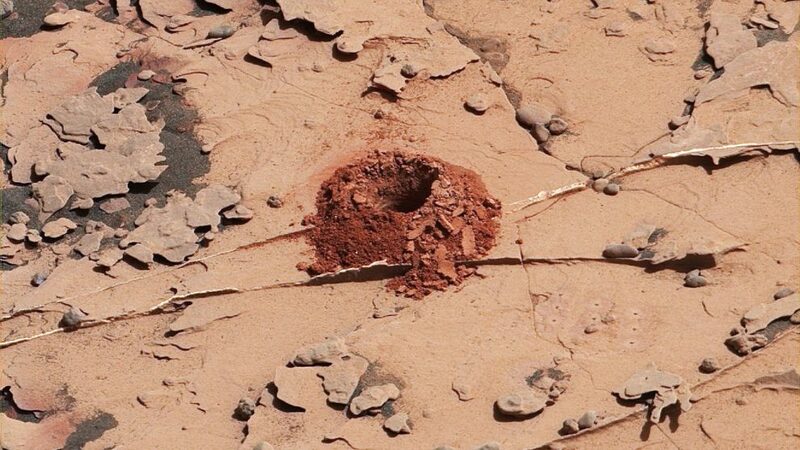 Over the weekend, Curiosity drilled two inches into the Martian surface and collected a powder sample from the pulverized rock. Collecting and analyzing rock samples is the crux of Curiosity’s mission, so the latest success was a major relief for the team’s scientists. The next step is delivering the sample to Curiosity’s two internal laboratories. Mission engineers are working on a new process and hope to test it on Friday.